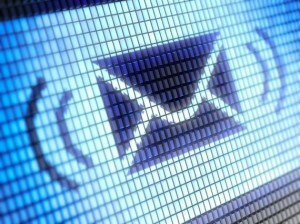 Email’s Afterlife: How Do Digital Assets Live On? The last decade alone has seen a tremendous migration of information and personal communications to digital formats. Like the Zimmer Law Firm, most businesses and individuals now run or visit blogs or websites, or use online services to store their photos, documents, music collections, and other personal effects. So what exactly do you “own” when you download a song, create a webpage, or put a photo on the internet? Literally speaking, electronic files are nothing more than collections of ones and zeroes – electronic signals that computers translate into forms we can use and understand. Despite the abstract nature of digital materials, we can still attach a great deal of personal value to what we download or create with our computers. The question of ownership of digital material raises another question in the world of estate planning: what happens to digital assets after an individual’s passing? Perhaps you want to pass your collection of digital music or personal documents on to a child. Are there laws or procedures in place governing the inheritance of digital assets? What happens in the “afterlife” of digital assets? Unfortunately, our legal system has been a bit slow in keeping up with the issue of digital asset inheritance. There are few laws on the subject, and there is no uniform process for dealing with such matters. However, digital outlets are wising up to their user’s concerns about who will handle accounts after death. As detailed in the Huffington Post, Google recently launched its Inactive Account Manager, a service that will let users automatically suspend email accounts after a designated period of inactivity. Once an account is rendered inactive, Google will automatically inform previously-designated contacts about the change in account status, and these individuals will be able to log in and manage the remaining data. The Inactive Account Manager works for all Google-owned services, including Youtube and Picasa. Meanwhile, other companies, like Facebook and Twitter, have their own policies about what happens to deceased users’ accounts and information. There are also third-party services that can allow users to assign files to beneficiaries. The world of digital asset planning is rapidly growing and developing, and with such changes come a variety of complex and interwoven legal issues. Google is to be applauded for giving users a convenient process for making an “online digital asset will” of sorts. Hopefully they have started a trend. A qualified estate planning attorney can help you include your digital assets in your will or trust, ensuring your peace of mind and simplifying an often overwhelming process, especially in the absence of laws that guarantee your rights. Call our office today at (513)721-1513 for help with your digital asset planning.